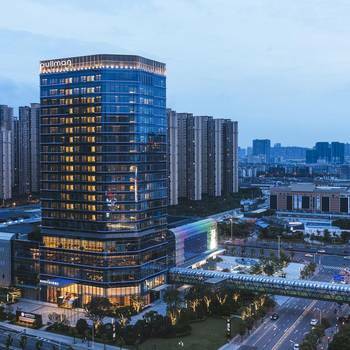 Opened in 2018, the Pullman Fuzhou Tahoe is a great accommodation choice in Fuzhou. With Free in-room Wi-Fi and easy access to the Eastern Area, this hotel makes a convenient choice. Traveling to the hotel is easy with Fuzhou Railway Station located approximately 5km away and Changle International Airport roughly 46km away. When it comes to Fuzhou hotels, the Pullman Fuzhou Tahoe is highly regarded for its excellent facilities. Perfect for those working on the move, this hotel caters to a large number of business guests.